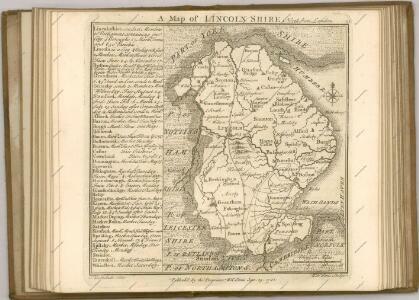 1 : 31680 This drawing covers the fens of Cambridgeshire, Huntingdonshire, Lincolnshire and Northamptonshire with the county borders indicated by a red dotted line. Characteristic fenland features such as dykes, canals and ancient cattle droves are clearly depicted on the plan. In the 17th century, the Dutch engineer Cornelius Vermuyden was appointed by James I to direct the drainage of the wetlands. As a result of Vermuyden's work, the fens took on a very different appearance, changing from an area of flooded marshes to one of extensively farmed agricultural land. Yeakell, T.